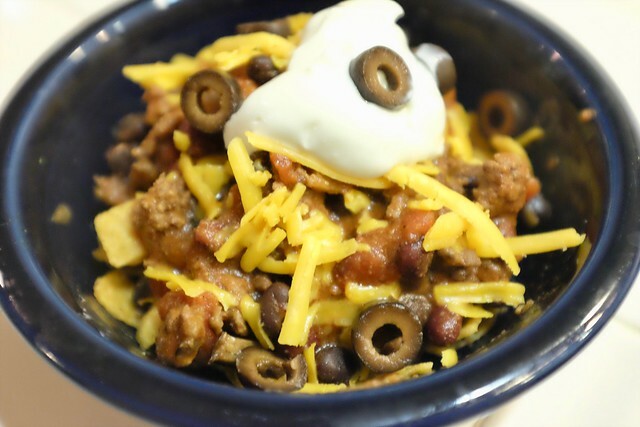 This is my favorite slow-cooker chili. Yeah, yeah, it has beans. So what, I like beans in my chili. I threw some olives on top but it didn’t need them. And yes, that’s a nice bed of Fritos on the bottom. Perfect fare for a cool, chill, Sunday evening. Beans, yes! That looks yummy.